Summary: Understanding just the key things you need to know about your own bike's wheel, rim and tyre sizes, types and choices can be extremely frustrating for cyclists. Most people don't want to spend hours geeking over Sheldon Brown tables and arcane details. They just want to understand what the weird notations mean on their own parts or online parts they are considering buying, work out what the most common (thus easy to replace or switch) sized parts are when buying a new bike or parts, and find out which options are best suited to their needs (e.g. for riding 5km to work in wet weather on a commuter bike). This post will provide a simple, layman's guide to the essential things a utility cyclist needs to know about bicycle wheels, rims and tyres. Please add any additional queries to the comments and I will incorporate the answers. - I aim to collate the most useful illustrations, tables and references on the essentials of wheels, rims and tyres for utility cyclists. Please submit links to helpful diagrams, tables or other info via the comments. - wheel refers to: "A hub, rim, and spokes all together; may also include the tire and tube." - rim refers to: "The outer metal hoop of a bicycle wheel." - tyre (tire in American English) refers to: "ring-shaped component that surrounds a wheel's rim to transfer a vehicle's load from the axle through the wheel to the ground and to provide traction on the surface traveled over." For other cycling-specific definitions see Sheldon Brown's glossary. - When you buy a bike the wheels should be carefully considered as the hub + rim + spokes shouldn't need replacement, are usually kept assembled, and are expensive (relative to the bike) to replace. However, the tyres are easily replaced and, assuming the frame and brakes have sufficient clearance, the tyre width or height (tread profile) can also be changed. The important takeaway is that references to "wheel size" are really about rim size: usually diameter but also sometimes the rim width too. - Sizes are the most confusing thing when choosing bikes and wheels, selecting tyres and tubes, or trying to figure out what pressure to pump your tyres up to. These are referred to with various, confusing notations (26inch, 29er, 700C, 622mm, 28 x 1 1/2, etc) in the product descriptions or on the products, such as on the sidewall of the tyres. This is because there are three old measurement systems: Imperial, Metric & American. Fortunately, there is just one consistent system you need to refer to: ISO 5775. * Please read this page for more precise details explaining ISO tyre width (width of inflated tyre minus any tread), rim diameter (inner diameter where the tyre bead sits), rim type differences (e.g. crochet-type aka "hooked" or straight-side), and that this standard applies to wired (beaded)-edge tyres (typically known as clinchers as opposed to tubular or tubeless tyres). - Now if you read on your tyre sidewall this confusing sequence: 28-622, 700 x 28C, 28 x 1 5/8 x 1 1/8, you at least have a useful deciphering reference. The inner rim diameter is 622mm and rim + tyre outer diameter is around 700mm (the total outer diameter will depend on the height of the specific tyre used). The tyre width is 28mm. The tyre height is 1 5/8 inches. 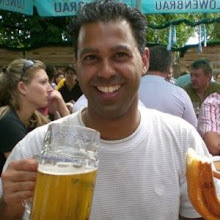 > Schwalbe Tires - How many tire sizes are there? - Note that any Circumference data from a table will be approximate as they are usually based on an inflated tyre height that matches the tyre width nominated (See here under "section height of a tire"). If you want a closer approximation you need to know the height of the tyre you plan to use. So first recall that Circumference = Diameter x 𝚷 (~3.14). 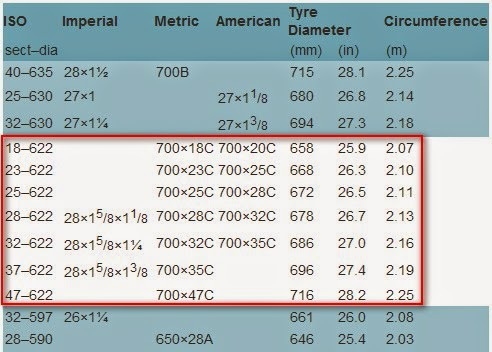 As noted below in Section #2, on the same 622mm rims, the outer diameter inclusive of the tyre can vary from 670mm (narrow, low profile road tyre) to ~736mm (mountain bike tyre). An outer diameter of 670mm = 2.12m circumference. An outer diameter of 736mm = 2.33m circumference. If you want a very accurate measurement for your own bike (often to setup your bicycle computer) use the valve as a marker and roll the bike along a straight line for one wheel revolution. Then measure this distance. 2. What rim diameters exist and are suitable for my riding? 3. What tyre width sizes can go with my rim width size? - Once you have such a table, all you need to know are the common rim widths available for the type of bike you ride. While wider rims are available on some mountain bikes and on request, most common utility bikes (road, commuter, single speed, hybrid, comfort) use either 17c or 19c rims (check the specifications of your bike or wheel or see Section #4 below). From the table above you can see that tyre widths between 25mm and 50mm are possible for these most common rim widths (17c, 19c), which provides ample coverage for utility cyclists. This is very useful advice as many cyclists assume that they can only use tyre widths similar to that of the tyres already on their bike, unless they change their wheels. In reality, many utility cyclists could be riding with more safety, confidence and comfort on wider tyres (e.g. switching from 25/28mm to 35-40mm) especially if conditions are often slippery or the road surface is poor or has grates or tram tracks. The ETRTO table is a good-enough guide for most utility cyclists but those who push the limits of their tyre's capability (e.g. cornering at speed or in slippery conditions) should follow additional guidance. Generally, it is best not to have too large a gap between rim width and tyre width if pushing the limits. And, if you do, to reduce tyre pressure a little. 4. How do I find out my rim width size? Often the rim width info isn't available so if you want to make sure, you'll need to measure it yourself. Refer to the diagram below and use a measuring tape to measure the inner rim width. You don't need to be super-precise as your measurement should allow you to figure out if it is approximately 15mm, 17mm, 19mm or higher (i.e. 15c, 17c, 19c) in the ETRTO table above. 5. What tyre width should I choose? - It is a common misconception that the narrower the rim and tyre the faster and better. Very narrow tyres require very high pressures and this results in a harder, bouncier ride, with less grip and comfort. Unless the surface is very smooth the rolling resistance can actually be worse than for wider tyres at lower pressures. Professional road cyclists have been following the science to wider tyres. See: Implications of Rim Width (Slow Twitch). - At the same pressure, wider tyres actually have less rolling resistance than narrower tyres. See: > Velonews: Seriously, wider tires have lower rolling resistance than their narrower brethren. Even at lower pressures, wider tyres (up to at least 32mm) have no greater rolling resistance on smooth surfaces and have less rolling resistance than narrower tyres on rough surfaces. See: > Off The Beaten Path: Tires: How Wide is too Wide?. However, the lower rolling resistance is countered by weight and aerodynamics (when speed is high). So there is a sweet spot for everyone based on their circumstances. 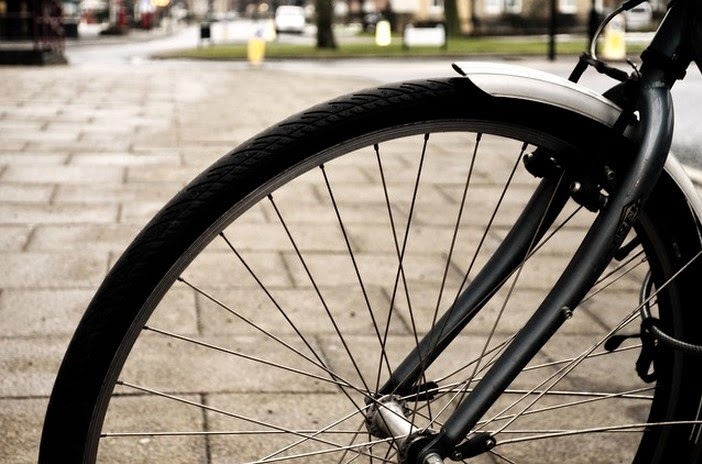 - Most utility cycling experts recommend that utility cyclists opt for wider tyres so they can use lower pressures and have better comfort and grip. Generally 28-44mm tyre widths are the target range for urban cyclists riding mostly on paved roads who want to keep the weight down. If weight is not an issue and you need extra grip and comfort, or often tyre widths up to 50mm may be best. > Off The Beaten Path: Tire Width - how much difference do a few millimeters make? > road.cc - What width tyres are best for you? 6. How do I check if a tyre will fit my frame? - This is typically only a problem if you are using a road bike (or fixie) frame with wide tyres. Most road bike frames do not have sufficient clearance to allow tyres beyond a certain width. I've found 28mm to be the maximum width that will safely fit most road bike frames. seatstays can limit the clearances on some bikes. fenders: often, you can adjust the fenders to get rid of a tight spot. I recommend a minimum of 3 mm clearance between your tires and the closest part of your bike. Any less, and you run the risk of having your tire rub, under hard acceleration or if the wheel develops a slight wobble. See: Off The Beaten Path: How Wide a Tire Can I Run? Note that a tyre with a greater height (e.g. with a deeper tread like a mountain bike) would have even less clearance. So it seems typical road bikes will not take tyres wider than 28mm or with deeper treads. - Because some bikes (typically road bikes) have less frame clearance, if you may need to use wide tyres for comfort, in certain seasons (e.g. winter cycling) or for specific riding (e.g. off-road tracks), you should ensure you get a bike with sufficient frame clearance. 7. What are the common types of bike tyres? What type suits utility cyclists? - There are four main types of tyre: Clincher, Folding, Tubular and Tubeless. For a concise explanation of each see: Schwalbe - Tyre Types. - Clincher tyres are the most common and are the only type utility cyclists need to consider. Folding tyres are the same as clinchers except you can fold them - really only relevant for people who need to travel with tyres folded up. Tubular and Tubeless tyres are only relevant for sports cyclists using road bikes or specialist needs. 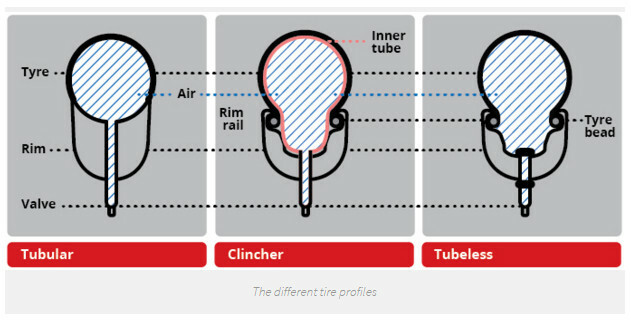 - If you really want to know about tubular and tubeless tyres and how they compare to clincher tyres, see the below article. Swim Bike Survive: The big Question: Tubes, Tubeless or Clincher tire? 8. What categories of bike tyres exist and for what purposes? - The main tyre categories of relevance are: Road, Commuter, Mountain Bike and Cruiser. On new bikes, they usually match the type of bike. However, only the ability to fit the tyre in the frame would prevent you from using commuter tyres on a mountain bike or road bike. The Commuter category is most relevant and useful for utility cyclists. 9. In what specific ways do bike tyres vary between and within categories? - The compound, width, thickness, tread, durability, sponginess and puncture-resistance are the key aspects that vary. To get an understanding of the variation, it is best to consult a tyre buying guide which illustrates the differences. See: Wiggle: What bike tyres to choose? - The Commuter/City tyre category is most relevant to utility cyclists. Within that category, choose a tyre that best suits your common uses and priorities. 10. How does tyre tread affect grip and rolling resistance? - Tyre tread is the "raised rubber of the tyre which contacts the road. You can measure the depth of it by seeing how far the top of the tread is from the bottom of one of the grooves in the tread." "On a normal, smooth road, the tread has only limited influence on the ride properties. The grip generated by the tire on the road is almost exclusively the result of the rubber compound. Unlike a car, a bicycle will not aquaplane as the contact area is so much smaller and the contact pressure is much higher. - Personally, I consider puncture resistance so critical to tyre choice that I only use Schwalbe tyres with the top protection: typically the "plus" models like Durano Plus or Marathon Plus. This simplifies tyre choice significantly as I just need to find the most appropriate Schwalbe puncture-resistant tyre for my type of bike and riding. 12. What tyre pressure should I use? - However, you shouldn't simply use the maximum recommended pressure. You should use a pressure within the recommended range that with the full load has around a 15% wheel drop. The full load of a bike varies considerably based on rider weight, loads, and the weight of the bike and attachments. The front versus rear distribution of the weight can also vary considerably based on rider weight, the type of bike, and where any loads (e.g. panniers) are placed. Often the rear of the bike has significantly more load than the front but people mistakenly pump both tyres to the same target pressure. E.g. My bike weighs 10kg and I weigh 75kg. If not carrying any extra load that is 85kg total. Using a common 40%/60% front wheel to back wheel split that is a front wheel load of 34kg and back wheel load of 51kg. Based on my 28mm tyre width that means I should use around psi on the front wheel and 82psi on the back wheel. - You should also make adjustments for comfort, conditions and riding skill. In winter when the surfaces are slippery you should reduce tyre pressure by around 5% to obtain better grip. The same applies if needing better grip for changes of surface or if you notice the tyres are slipping during normal use or if you are inexperienced. If you desire a softer ride you should also reduce tyre pressure so that the bike bounces less and absorbs shocks more. However, stay within the recommended range. *One of the biggest misunderstandings most cyclists have is tyre pressure. Unless riding only on very smooth, dry roads or you are highly skilled and optimising speed, you should rarely be inflating to maximum pressure. On other otherhand, it's a mistake to have the tyre pressure too low as rolling resistance is higher, punctures are a bit more common generally, and at very low pressures when you hit a bump you can get a snakebit puncture where the tube gets pinched between the tyre and rim. Also, over long periods, low tyre pressure results in increased wear, particularly on the sidewalls. The happy medium is to figure out the correct tyre pressure and pump up tyres regularly to keep it there. If using a Presta valve make sure the valve is screwed down tight to minimise leakage. And if more comfort and grip are a priority use wider tyres. 13. How do I get the tyre pressure correct? - Hand pumps typically don't have pressure gauges and if they did they would often be too inaccurate. 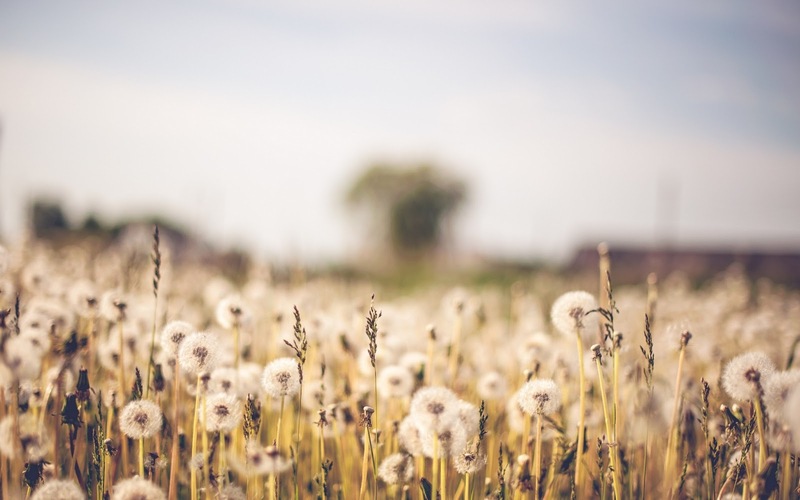 Floor pumps do have pressure gauges; when connected to the tyre's valve and after you've started pumping the pressure needle should reflect the air pressure in the tyre's tube (you need to start pumping for the air pressure to equalise in the pump). However, these pressure gauges can be somewhat inaccurate or inconsistent. Consistent inaccuracy can be managed, you just need to find the consistent error margin. Inconsistency can't be managed, so you'll need to get a more consistent floor pump. Pumping up your tyres a few times in a row to the apparent same level and checking the reading should tell you whether your floor pump's gauge is consistent or not. - Immediately after using your own floor pump, check your tyre pressure on a friend's floor pump as well to compare the reading. You could also go to a bike shop and ask for an accurate reading of the tyre pressure. Comparing these readings should allow you to determine if there is a consistent error margin between your pump's gauge and the actual pressure. Once you know this error margin you can factor it in to determine the correct pressure to pump to. - However, the general aim is to actually feel the tyre's inflation level with your hand and observe wheel drop (which is meant to be ~15%) when a similar weight adult is on the bike. If you do this at maximum and minimum recommended pressure you will develop a practical sense of tyre pressure. If you make a habit of feeling the tyre and comparing to the pump gauge when at your desired pressure level, you will be able to pump your tyres consistently without worrying about the exact gauge reading. 14. How do I know when to replace my tyres? "In bicycle tires the tread is far less important than for instance in car tires. So using a tire with a worn out tread is less of a problem, that is of course with the exception of MTB tires. - Essentially, if using puncture-resistant tyres, the wear on the tread that meets the road is not, in and of itself, a reason to replace the tyres. As explained in section #9 the tread isn't critical to grip on urban roads that are smooth. Schwalbe advises its Marathon tyres last 6000 - 12,000km based on significant wearing down of the rubber. The tread pattern on the major contact area will likely be worn smooth well before the tyre compound itself has worn down or reached end of life. (a) The sidewall cracking and approaching the risk of a major tear. (b) The tyre surface having significant cuts and damage. (c) Issues with punctures or grip. 15. What kind of tubes can I use to fit my tyre and which should I use? 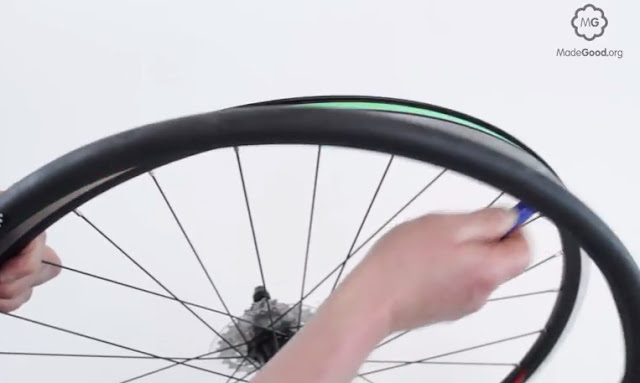 Choose an inner tube that matches your tyre size and diameter to ensure the tube fits correctly. Presta or Shrader valves are most common valve types used to inflate the tube. Latex inner tubes offer significant weight savings over butyl rubber inner tubes. The latter also hold air more effectively and are cheaper in price. For the same reasons as I use puncture-proof tyres (Schwalbe Durano Plus or Marathon Plus), I also prefer to use high quality, longer-lasting tubes as I shouldn't need to change them for years (only when I get an exceptional puncture). The Schwalbe tube range can be seen here. Simply, filter by wheel size (typically 700C / 622mm) and choose a preferred type. I use the Schwalbe Road Inner Tube. Once you do so, you will find you just need to choose the most relevant width range and the valve type. Use the same valve type as you already have on your bike. Or if you don't have one yet check the tyre rim hole to see if wide (Schrader) or small (Presta only). Narrower rims (e.g. road, commuter bikes) tend to use Presta valves while wider rims tend to use Schrader. Once you've chosen your valve, simply choose the tube width range that best matches your tyre width. For example, if you have Presta valves and 25mm wide tyres you would choose the 18/28mm tube. If you have 28mm tyres you'd be best off with the 28/32mm tube. If you have 35mm tyres, you'll need the 28/42mm tube. - Many tyres are designed to be used in one direction (via the tread pattern) so make sure you follow the direction arrow when installing. If there is no direction arrow, install so that the writing on the tyre sidewall is facing the correct way. - Ensure the tyre bead is centred in the deepest part of the rim when installing and the tube is fully within the tyre and none of it is stuck underneath. Start at the valve so the opposite end is the last to go on. When you pump up the tyre initially do it slowly and just a little, then squeeze the tyre all the way around to ensure the tube is within the tyre and not kinked anywhere. - After installing and inflating to the correct pressure, spin the wheels and check for any horizontal or vertical shift at certain points. If there is then the tyre may not be seated perfectly or the rim might have a buckle and need trueing. Occasionally defective or damaged tyres are the cause and if the shift is significant will need to be replaced. - Get tyres of 28mm to 42mm width. The wider they are the more stable and comfortable they will be. Nearer the 42mm end, tyres will weigh significantly more and take a little longer to accelerate to cruising speed. So balance these two factors based on your riding needs. - When buying a bike make sure the frame has the clearance for tyres up to the maximum you may wish to use (e.g. for winter commuting). Road bike frames are often too narrow to fit tyres wider than 28mm. - Ensure you use highly puncture-resistant tyres like the Schwalbe "Plus" brands. For road cycling I recommend Schwalbe Durano Plus. - Novice cyclists should use slightly lower tyre pressures than experienced cyclists to improve grip, especially when the weather makes surfaces slippery. > Tires: How Wide is too Wide? > Learn about wheels, tires, etc. > More wheels - Wider, sturdier wheels and rims are better. > 700C wheels - Common wheel sizes: 700C, 650B, 26inch, "29ers". This is a really helpful article because it provides the broad context before the detail. Thank you for doing it. I've found that the most accurate way to determine the real deformed circumference is to take a longish ride with the default setting, running mapmyride on my phone simultaneously, then using the trip data from the app and from the bike computer to do some maths to calculate it. Thank you very much for this information, very clear and useful, without a need to search the entire internet. I have been going crazy trying to find replacement rim, this article has helped me immensely. Thank you! only place I actually found all the info I needed! thanks!! Sheldon Brown passed away several years ago. Please do not bash on him. In fact if he were still alive I would think he should be respected. Thank you very much for your time and effort writing down this guide. It's cleared my doubts and help me know the difference choices I have to install on my bikes. TWO THUMBS UP! Thank you for your comprehensive study on wheels, rims and tires. I am a lay rider quite new to cycling other than my touring days a kid. Great paper! I absolutely love what you offer for us lay and some experienced riders. Depending on which country you live in you can then search the website you are buying on and filter. Or ask a salesperson. You just need to quote any of size notations (they are equivalent): 40-622 (mm ETRTO standard) = 28 x 1.50 (inches) = 700 x 38C (French). I have a Merida Crossway with Alexrims 622x18 rims(I didn’t measured,just what was printed). 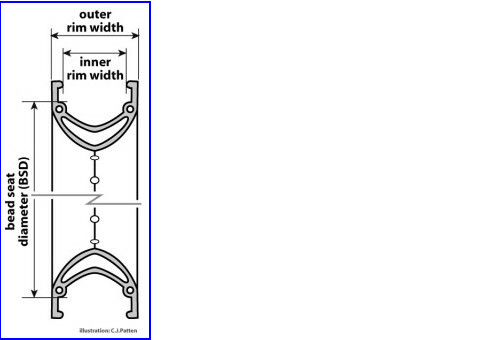 In the table write that inner width 17c or 19c goes with 28-32 tyre for example . But if I have 622x18 can I put 28-622 or 32-622 tyre? I am using it hurt on road,not off-road. Ty. As in table in section "3. What tyre width sizes can go with my rim width size?" you can run tyres of width 28mm to 50mm (an 18mm rim would fall between 17c and 19c). 28mm or 32mm would be great for on-road. Excellent work sir. Top top article.